Lee is Senior Partner of the firm and oversees all departments. 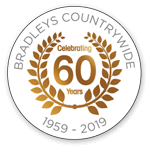 Bradleys Countrywide was established in 1959 and Lee joined in 1987 and later became manager followed by partner. Lee has unrivalled knowledge within the Business Transfer sector and has vast experience within the Commercial Agency, Property Management and Residential Sales sectors. Lee is proud of his team at Bradleys Countrywide and works closely with them to ensure continual development of the firm. Hobbies include travelling, water sports, football and socialising. Jeanette is a Partner of the firm and heads up the sales progression team, this includes assisting clients with selling and purchasing a commercial premises once a sale has been negotiated, working alongside solicitors, landlords, landlords agents and accountants. Throughout the sales process Jeanette will assist with arranging stock taking, EPCs, apportionments and anything else required to result in a successful and efficient exchange through to completion. Nobody in the office envies this role as it is very challenging and you need to be very thick skinned something that Jeanette handles incredibly well with her unique skillset. Jeanette joined Bradleys countrywide in 2004, after leaving her job within the Treasury Department of Fiat UK. Jeanette loves to spend time with her Family & Friends, Going to the Theatre, and also having a gamble at the Casino. Scott is the Senior Business Valuer for the firm who heads up the business transfer department. He has been valuing businesses since 2007 gaining experience with some of the national corporate agents bringing a professional and analytical approach to the team. Scott has a passion for local businesses and still gets excited over new instructions to this day. Currently covering all market sectors in Essex, Herts, Suffolk and soon to be Norfolk he is also very happy to provide market advice on the phone. When Scott is not out on business valuations he is negotiating within the office taking a personal responsibility to his listings and achieving the best sale price for his clients. Always thinking of new ways to keep up with the market Scott takes his leadership responsibilities very seriously. On a lighter note outside of business Scott has settled in Colchester with his Wife, Son and (Rescue) Dog where they take advantage of Castle Park for walking, along with visiting the seasonal events and shows. Scott has a keen interest in all things Football and still tries to play for a local side in the Essex & Suffolk Border League. You’d never of guessed that Scott is also a huge fan of anything Disney. Adam is a Business Valuer and Commercial Negotiator who joined Bradleys Countrywide in 2013. In his role as a business valuer, he covers all market sectors across South Essex, arranging to meet with business owners to conduct valuations in person or he is equally happy to provide advice over the phone. When in the office, Adam spends his time negotiating with applicants on all businesses that Bradleys Countrywide are marketing throughout Essex, Suffolk and Hertfordshire, liaising with clients who have their business on the market to discuss marketing strategies to achieve the best possible price for their business and assisting applicants in finding their ideal business. In his spare time Adam enjoys going to the gym, socialising with friends, playing golf and watching a multitude of different sports. After working 16 years in various customer service roles within the Banking sector Lynn decided on a career change and joined our Business Transfer team at Bradleys Countrywide in the Spring of 2017. She undertakes core admin duties and is always happy to answer enquiries and arrange viewings. Lynn enjoys spending time with her family and friends. She has a soft spot for animals and currently has a rescue dog and 2 rescue Parrots. Never a dull (or quiet) moment in Lynn’s life. Jay started with Bradleys Countrywide 17 years ago as a Trainee Business Transfer Agent and now works alongside Lee Chambers and looks after all things Management and Residential. Jay’s day is never the same whether it is meeting with clients, completing quarterly Landlord rental statements or Non Resident Landlord tax forms on his Landlords behalf to rushing out of the door at all hours to property emergencies. Jay also manages our Residential Sales Department which often gets praised for its excellent customer service and making a stressful sales process seem that little bit easier. Jay has many strings to his bow, but who’s main purpose is to make the client feel comfortable that their property needs are being looked after. Outside of work Jay has two children and is a keen sports fan, he also is a fan of music of a range of genres (some of which the office are not too keen on) and gets to as many gigs and concerts as possible. Gill joined Bradleys Countrywide two and a half years ago as a part time Secretary providing valuable assistance to whoever wants/needs her help from the Commercial, Residential and Sales Progression Teams. Gill is mum to two grown-up children and in her new-found spare time since they flew the nest, has recently taken up paddle boarding (during warmer weather) and also enjoys a range of other sports and going to the theatre. Teresa has worked at Bradleys Countrywide for 18 years as a part time secretary. As work increased she was pleased to have Gill as another secretary. Teresa enjoys going to the theatre and dining out. Teresa is a proud grandmother to Edie and with another baby on the way will be kept busy. Paddy is our general maintenance man and our knight in shining armour. Dripping taps, leaks from ceiling, general odd jobs through to full renovation works are undertaken by Paddy and his team. Paddy has been our maintenance man for over 5 years and has been in the business for years before that, his experience and all round knowledge is a fantastic asset for us to ensure that maintenance jobs get done for our Landlords at a reasonable price. Outside from work (excluding the odd emergency call out), Paddy is a keen Banger racing enthusiast and a former British Champion. He also follows the highs and (mostly) lows of Southend United FC.